My trusty camping-mobile for the weekend as usual. 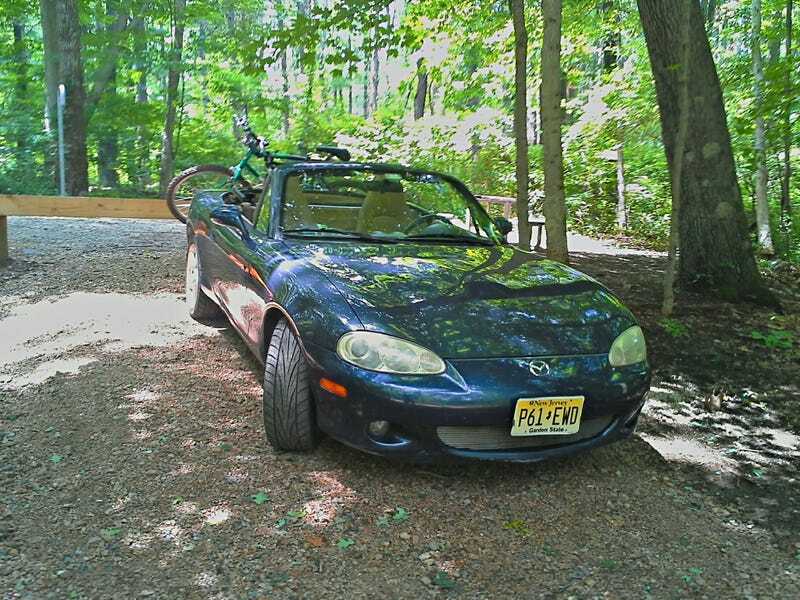 I always enjoy how out of place I feel driving a Miata on dirt roads. Aside from ground clearance though, it does pretty admirably in most cases. Haha I bet someone out there has put a lift kit on a Miata and some knobby tires. If a 911 can be an off road rally car, I reckon a Miata could too lol. Yesssssss, this! Same color too!